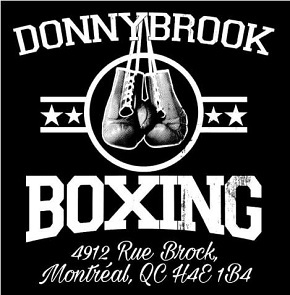 Much of the excitement surrounding the heavyweight division’s minor resurgence has to do with an influx of young talent. Deontay Wilder, a 2008 U.S. Olympian and charismatic knockout artist, holds the WBC belt, New Zealander Joseph Parker recently became the first Kiwi to claim a portion of the heavyweight title when he defeated Andy Ruiz to claim the WBO strap, and Anthony Joshua, the IBF champion, looks to be the class of this emerging era and will face former division ruler Wladimir Klitschko in April. But amidst all this excitement, former titlist Bermane Stiverne, who fights Alexander Povetkin in Russia this Saturday, has gotten somewhat lost in the shuffle. 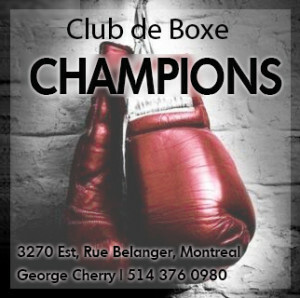 Stiverne (25-2-1), a punishing power-puncher who is the first boxer of Haitian descent to claim a major title in boxing’s glamour division, is unfortunately viewed by many as a stopgap between the aforementioned Klitschko’s dominant reign and this heavyweight “new wave.” In 2013-14, Stiverne twice defeated the mercurial but always exciting Chris Arreola, first by unanimous decision to capture the WBC’s “silver” title, and then by explosive sixth-round TKO in the rematch to become a full-fledged champion. Stiverne’s stint as champion, though, would prove to be more of a sojourn than reign. In his first defence, Stiverne faced his toughest foe to date in Deontay Wilder, who had compiled a perfect record of wins inside the distance, albeit against an assorted roster of tomato cans. At the time, Stiverne vs Wilder was a compelling match-up and a sign of things to come at heavyweight. 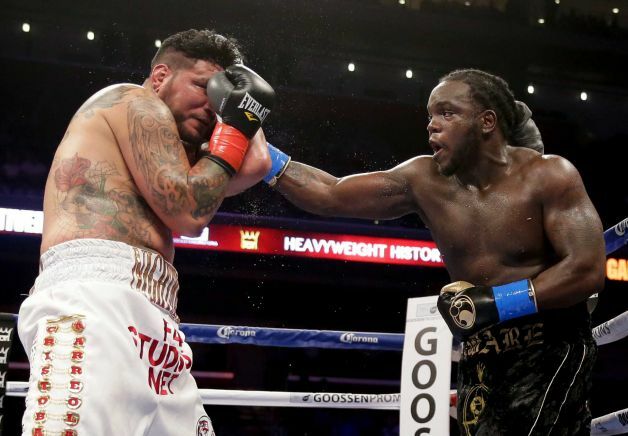 Stiverne was looking to put a definitive stamp on his championship credentials, while Wilder was taking a major, and long overdue, step up in class. The promotion for Stiverne vs Wilder was acrimonious and imbued the match with outsized expectations. Both men are hellacious punchers, so a knockout was assumed. What transpired instead was a disciplined, professional performance from Wilder, who out-boxed the defending champion to wrest his belt. Wilder won the fight by wide scores: 119-108, 118-109, and even 120-107, a shutout. Stiverne did try to press, but Wilder’s elegant and powerful jab, combined with disciplined movement and boxing off his back foot, stymied his pressure. But don’t think for a second that Stiverne dwells on this result or his brief title reign. If anything, he looks back on all of this with insight and perspective. 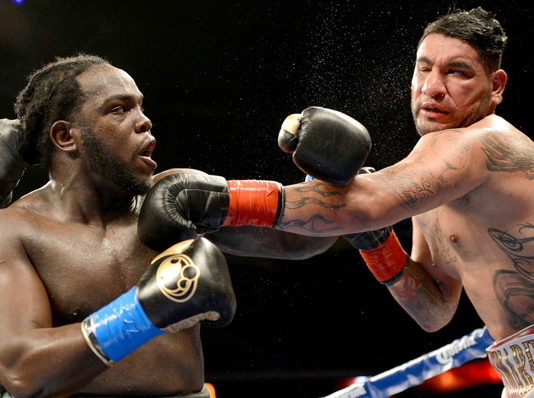 Stiverne’s best wins have come against Chris Arreola. 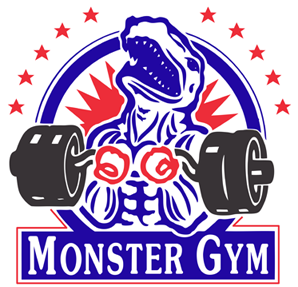 It’s a candid admission from a fighter who was most certainly a veteran by the time he became a champion, but it reflects that gaining notoriety as a heavyweight comes with a slew of responsibilities that no one is naturally prepared to navigate. Stiverne concedes he was just trying to be himself after defeating Arreola, a difficult task when it starts to conflict with external and unreasonable expectations. That said, the lessons he learned from this tumultuous experience will, he strongly feels, help him in his quest to become a two-time champion. Stiverne has only fought once since the Wilder loss, winning a ten round unanimous decision over gatekeeper Derric Rossy in a bout where Stiverne had to climb off the mat in round one. That was his first bout in ten months, and he’ll have been out of the ring for over a year by the time he faces Alexander Povetkin for the WBC’s “interim” title. Being idle for over a year heading into a fight against a fellow elite contender for an interim title would normally be cause for concern, but Stiverne is both serene and supremely motivated as his crossroads contest against Povetkin (30-1) looms. When he fought Rossi, Stiverne was still trying to cope with the disappointment of losing to Wilder, and he admitted to being bitter at the time. While he has since shaken those negative thoughts, it was a process, part of which involved focusing on the myriad positives gleaned from his two wins against Arreola. If anything, these fights proved that Stiverne could win, and dominate, at the championship level. The only thing Stiverne regrets from the Wilder situation was checking into that hotel and not staying home where he was more comfortable. The harsh reality, however, is that such mysteries are meant to remain unsolved, which is something Stiverne has made peace with. Now, it’s all about the Povetkin fight how a victory would put him in line to get revenge against Wilder. He fully acknowledges the challenges that Povetkin presents, not to mention the fact that the bout will take place in Russia. Again, when asked about travelling to his opponent’s backyard, Stiverne’s response was a combination of humour and insight. 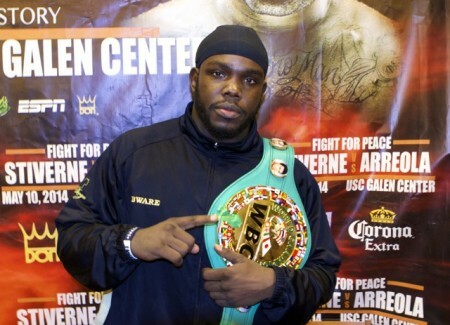 Stiverne wants to win back his old belt. 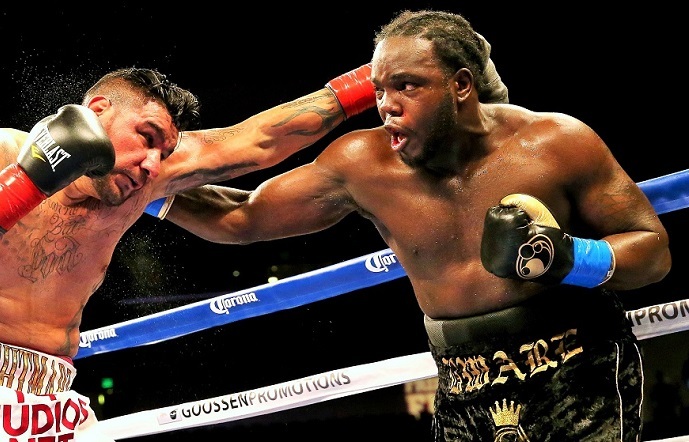 This excitement carries over to how Stiverne views the broader landscape of the heavyweight division, which he feels is reclaiming its rightful spot in the limelight. But what’s most important for Stiverne is ensuring that he becomes a key figure in the race to rule the heavyweight roost, which has become fractured since Tyson Fury‘s implosion. To do so, Stiverne hasn’t made any massive overhauls other than placing a greater emphasis on conditioning. “I believe that repetition is the mother of learning,” he says.